Posterior tibial tendon dysfunction is one of the most common problems of the foot and ankle. It occurs when the posterior tibial tendon becomes inflamed or torn. As a result, the tendon may not be able to provide stability and support for the arch of the foot, resulting in flatfoot. The posterior tibial tendon is one of the most important tendons of the leg. A tendon attaches muscles to bones, and the posterior tibial tendon attaches the calf muscle to the bones on the inside of the foot. The main function of the tendon is to hold up the arch and support the foot when walking. The posterior tibial tendon serves as one of the major supporting structures of the foot, helping it to function while walking. Posterior tibial tendon dysfunction (PTTD) is a condition caused by changes in the tendon, impairing its ability to support the arch. This results in flattening of the foot. PTTD is often called "adult acquired flatfoot" because it is the most common type of flatfoot developed during adulthood. Although this condition typically occurs in only one foot, some people may develop it in both feet. PTTD is usually progressive, which means it will keep getting worse, especially if it isn't treated early. Factors that increase your chance of flat feet include family history, diseases that cause muscle or nerve damage, such as peripheral neuropathy, diabetes, cerebral palsy, spina bifida, or muscular dystrophy. Foot injuries. Conditions of the feet that can injure foot tissue such as osteoarthritis. Conditions present at birth, such as excess laxity of joint capsules and ligaments, such as Ehlers-Danlos syndrome. Obesity. Knee/Hip/Back Pain - When the arch collapses in the foot, it triggers a series of compensations up the joint chain, leading to increased stress on the knee, pelvis and low back. Plantar fasciitis - This condition is characterized by heel pain, especially with the first few steps you take. The plantar fascia stretches as the arch falls, putting stress on the heel. Bunions - If you see a bony bump developing at the base of your big toe, you are likely developing a bunion. It may be swollen, red or painful when it rubs against your shoe. A flattened arch spreads the forefoot and causes the big toe to deviate toward the second toe. Shin splints - This term generally refers to pain anywhere along the shinbone. It is typically due to overuse and is aggravated after exercise and activity. Many medical professionals can diagnose a flat foot by examining the patient standing or just looking at them. On going up onto tip toe the deformity will correct when this is a flexible flat foot in a child with lax joints. Such correction is not seen in the adult with a rigid flat foot. An easy and traditional home diagnosis is the "wet footprint" test, performed by wetting the feet in water and then standing on a smooth, level surface such as smooth concrete or thin cardboard or heavy paper. Usually, the more the sole of the foot that makes contact (leaves a footprint), the flatter the foot. In more extreme cases, known as a kinked flatfoot, the entire inner edge of the footprint may actually bulge outward, where in a normal to high arch this part of the sole of the foot does not make contact with the ground at all. 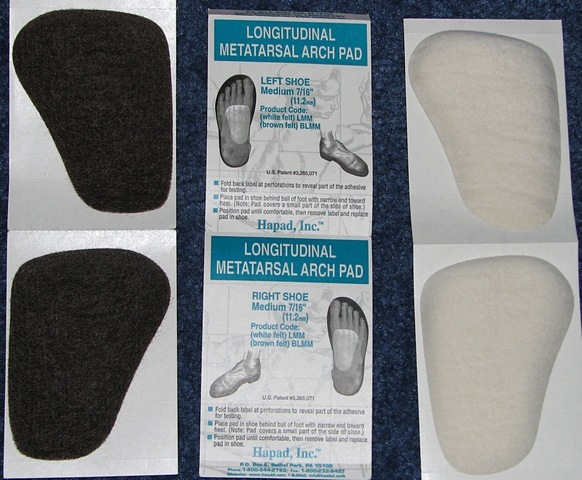 What does it mean when you have flat feet? MittieSiefker is using Hatena Blog. Would you like to try it too?